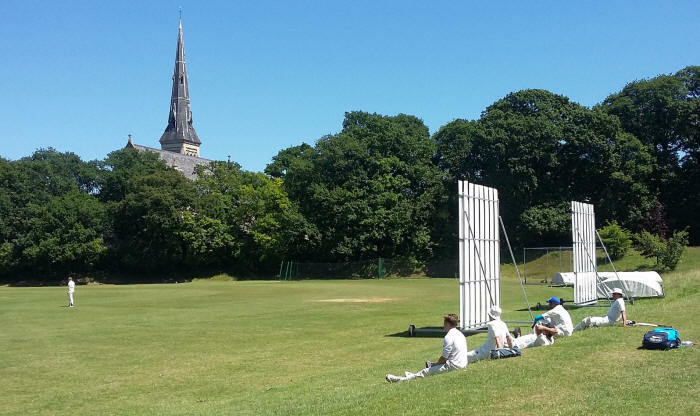 This was a unique fixture, played at a stunningly beautiful ground, blessed with sunshine and a towering church steeple. Unique as I believe this is the first time the Old Fallopians have played an all-ladies team. Having lost the toss, we were put in on a good batting track. The home bowling attack was promising but crucial catches were spilled, especially from opener Farhad. Consequently, he bludgeoned a century in 12 overs and I had to ask him to retire. After a sumptuous tea, myself and Steve Hamilton opened the bowling - for the first time since a school match 1981. Streatham & Marlborough batted courageously, especially a talented Trinidadian who constructed a classy 50. However, with insurmountable scoreboard pressure, the Fallopian tweakers wreaked havoc. Steve bowled with subtle changes of pace and flight but the star was Fallopians legend John Shaw. He bowled with miserly accuracy and took 4-32, including 2 wickets in 2 balls. 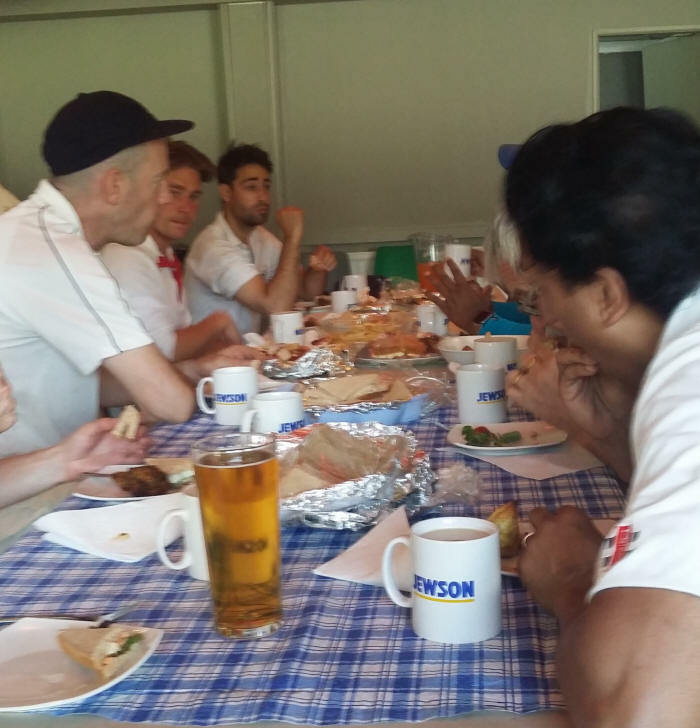 Andy mopped up the tail, thanks to a good swirling catch from Tony, and we won by 172 runs. 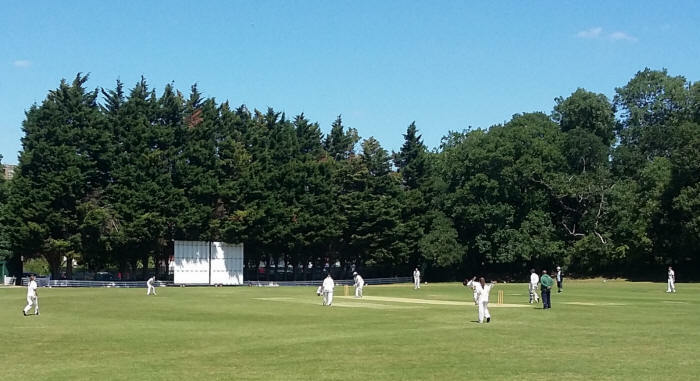 However, this match was always about more than cricket - Streatham reported that teams have cancelled their fixtures when discovering they were an all-ladies team. In addition, superb facilities and a friendly atmosphere ensured a return next season, maybe with a more modest Old Fallopians team!